Christopher Priest will be talking to Glyn Morgan about his highly anticipated new novel, An American Story, in September's instalment of our #SciFiSessions series. Chris is the legendary author of The Inverted World, The Prestige, and more, and winner of four BSFA Awards, a World Fantasy Award, and the James Tait Black Memorial Prize, amongst many other accolades and honours. 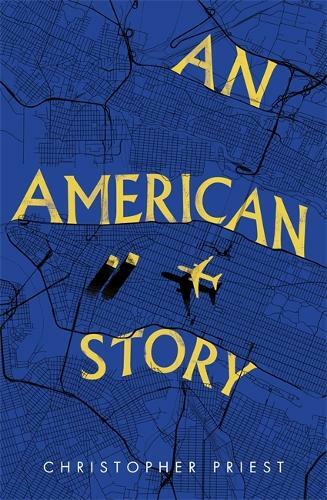 An American Story, is a novel about the 9/11 attacks on the World Trade Centre in New York, about loss, and most of all about consequences. Ben Matson lost someone on that day and whilst the world has moved on in the years since, he hasn't been able to. Then, the announcement that an unidentified plane crash has been recovered sets off a chain of events which calls into question everything Ben thought he knew. Thoughtful, impeccably researched and dazzling in its writing, this is a book for everyone's reading list. Join us for what will surely be a fascinating discussion. Tickets are £8 (£6 students) and are available via Eventbrite (below) and in store, and include a glass of wine or non-alcoholic beverage.